Over 100 leading UK travel journalists have revealed their inside track recommendations on which destinations to enjoy in 2014. The new poll gives globetrotters taking out worldwide travel insurance the benefit of their combined 1,769 years' holiday-writing wisdom. The biggest survey yet of its type, from the travel inspiration website 101 Holidays, discloses their favourite countries and cities and the secret beaches they keep to themselves. 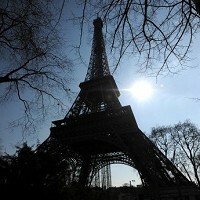 France was voted best country, with India and Italy second and third respectively. New York headed the city popularity lists, then came London and Paris. Thailand's Krabi was voted the world's best beach resort. This was also the country with the greatest number of "best beach" nominations. The travel writers and editors who participated featured several of the UK's most experienced and powerful holiday journalists. These numbered TV presenter and adventurer Ben Fogle, of Countrywise fame, whose exploits have included rowing across the Atlantic, swimming with crocodiles and racing to the South Pole. The Independent's Simon Calder also featured in the survey. The journalists questioned have a typical 16 years' travel writing each. The writers were also asked where they would choose to visit this year if money were no object and they didn't have to pay themselves. Australia was the most popular answer, followed by World Cup football hosts Brazil and the USA. The answers were very different, however, if they had to pay for their own holiday this year. USA headed this list, followed by France and Italy. Several travel journalists claimed they would opt not to sleep at hotels, choosing instead to hire a cottage or villa, or even brave camping. British Airways was named most popular airline, followed by Virgin Atlantic and Singapore Airlines. Budget carriers Easyjet and Ryanair also hit the top 10.